On Sale Now - Chateau Ste. 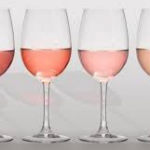 Michelle 2019 Summer Concert Series - Write for Wine: It's Wine O'Clock Somewhere!Write for Wine: It's Wine O'Clock Somewhere! Summer must be around the corner because tickets are already on sale for Chateau Ste. Michelle‘s 35th Summer Concert Series. A concert at the oldest winery in the state pairs music with award-winning wine and beautiful surroundings — and the result is a special experience. We go to at least one concert every year – we’d attend even more if we still lived in the Seattle area. We have seen John Legend, Bob Dylan, Bonnie Raitt, Jackson Browne, Berlin and Joan Jett. The lineups are so good that many of our friends go two, three, even four times to enjoy a lazy summer day or evening, kicking back on the manicured lawns of Chateau Ste. Michelle. Ah, summer! Can’t wait! Whether you prefer rosé, white or red wine, this concert calendar is something to cheer about. 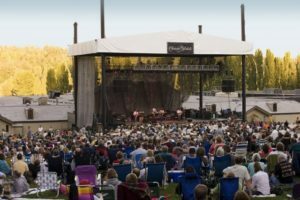 The 2019 series hosts 28 concerts spanning the range of pop, jazz, rock and blues in the winery’s picturesque outdoor amphitheatre with seating for 4,300. And what a lineup this year — Norah Jones (July 27), Diana Krall (Sept. 12), Gary Clark Jr. (Sept. 11), and many returning artists including Chris Isaak and Lyle Lovett. The series kicks off on June 13 with a concert by Rob Thomas (Chip Tooth Tour) and ends on Sept. 21 with Earth, Wind and Fire (one of two nights is already sold out). Unfortunately, the Norah Jones concert is sold out already as well. Yes, tickets go quickly for this incredible summer experience, so act soon. Of note, net proceeds from the annual concert series help fund Chateau Ste. Michelle’s charitable contributions program, which supports a broad range of non-profit organizations. Have questions? No problem, there is an FAQ to help out. So get your wine on and check it out. This entry was posted in Washington, Wine, Wine Events, Woodinville and tagged Chateau Ste. Michelle, Events, Summer Concert Series, Washington wine, Washington wineries, wine, wineries, Woodinville by Margot. Bookmark the permalink.